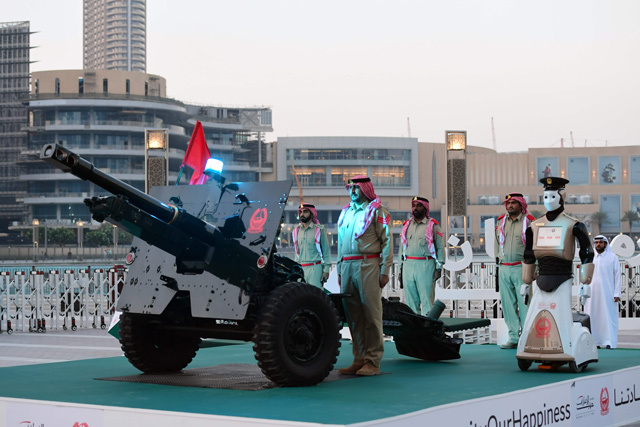 The robotic cop stood to attention Wednesday night at the foot of Burj Khalifa, the world's tallest tower, as tourists and passersby snapped selfie souvenir photos by its side. 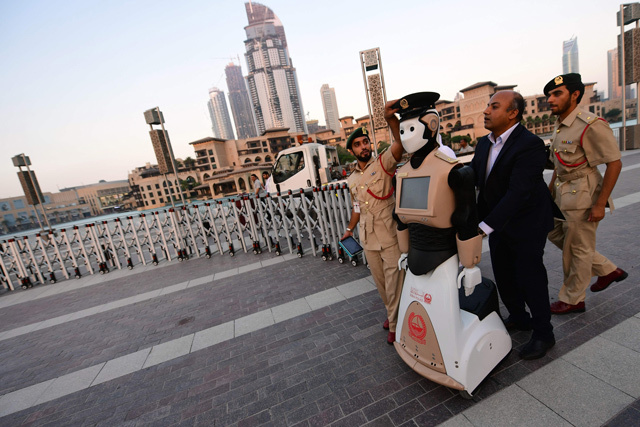 "Our aim is to raise the number of robots to 25 per cent of the police force by 2030," said Brigadier Khaled al-Razzooqi, head of Smart Services at Dubai police. The main purpose is to "find a new way to deal with people", said Razzooqi, while acknowledging that robots could not replace humans on tasks such as making arrests. 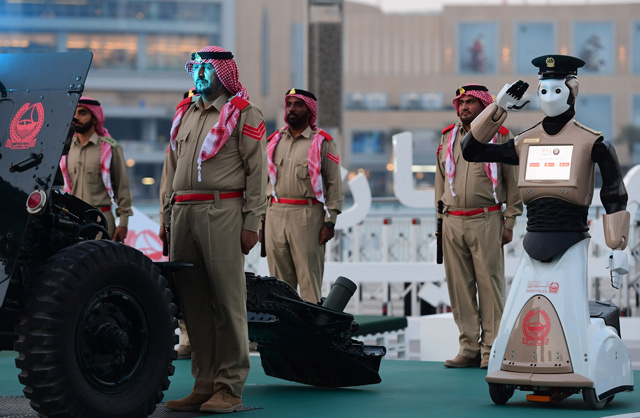 Police in Dubai, a growing tourism hub which attracted nearly 15 million visitors last year.